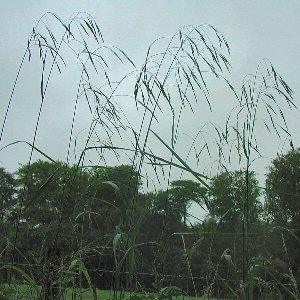 A very tall (up to about 6 feet) and stout perennial grass of woods and shady glens, with a graceful panicle of drooping spikelets, each flower with a long awn (bristle). 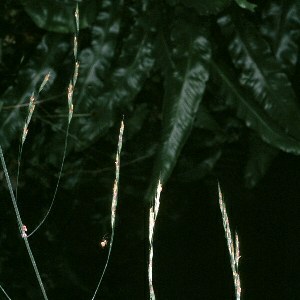 The leaf-sheaths are covered by long downward-pointing hairs – a feature which will separate this species from the superficially similar, but hairless, giant fescue (Festuca gigantea) which grows in the same sorts of places. All names: Bromopsis ramosa (Hudson) Holub. 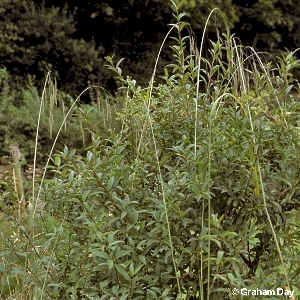 ; Bromus ramosa Hudson; Zerna ramosa (Hudson) Lindman; Bromus ramosus Huds. ; Bromus asper Murr.